Real Family Food. Every Day. Toddlers can be picky and so can teens, so it didn’t surprise me when that question landed in my inbox. 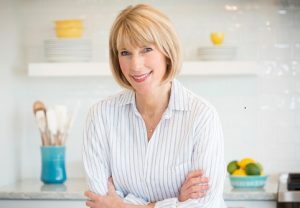 To answer it, I reflected back to the kitchen strategies that helped me feed Josh and Simon when they were teens, and I also reached out to fellow dietitian bloggers for their advice. 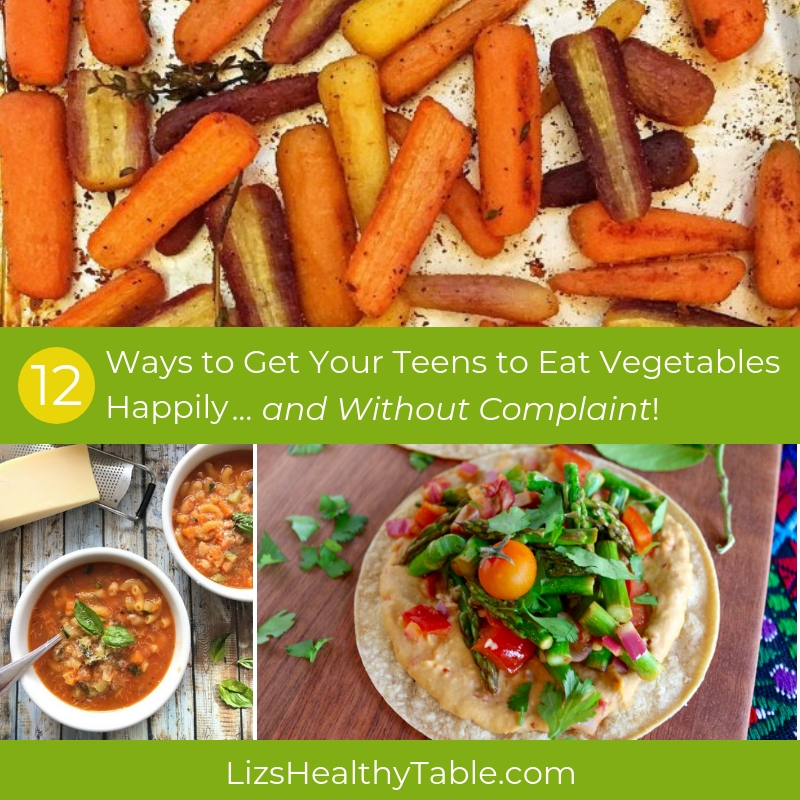 Together, we have 12 ways to get your teens to eat their vegetables happily and without complaint. As a mom of two grown boys, I’ve been there, done that. 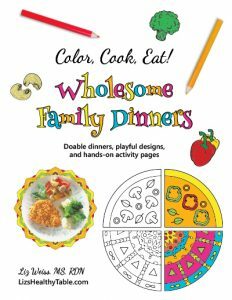 From turning steamed broccoli from drab to delicious to transforming beans into recipes my boys would crave, read on for wisdom from my kitchen and the kitchens of other moms and dietitians who’ve spent years of their own in the mealtime trenches! Ready for this? According to research from The Hartman Group, 50% of all eating occasions are snacks. U.S. consumers are snacking all day, and teens are certainly no exception. 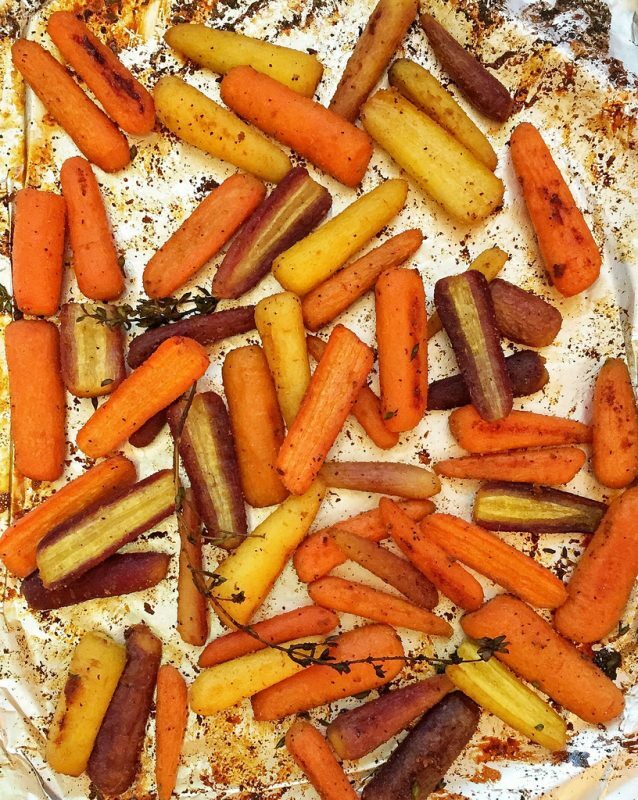 Make snacks count toward good nutrition by incorporating veggies into between-meal nibbles. 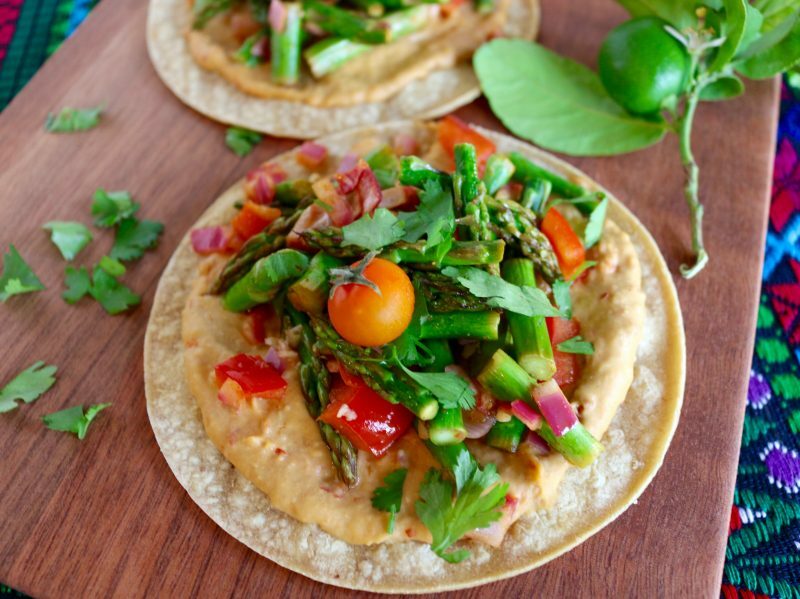 Roast up veggies and then add to quesadillas with beans and low-fat cheese or set out a bowls filled with crunchy vegetables and a variety of flavorful dips. 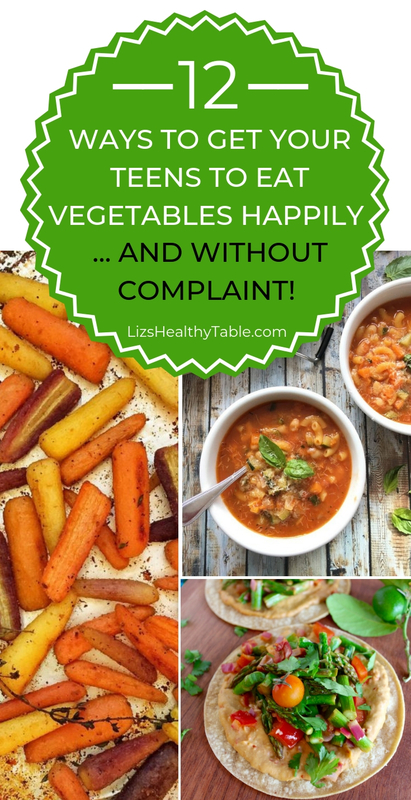 I’m Liz Weiss, a registered dietitian nutritionist, mom of two, and cookbook author. 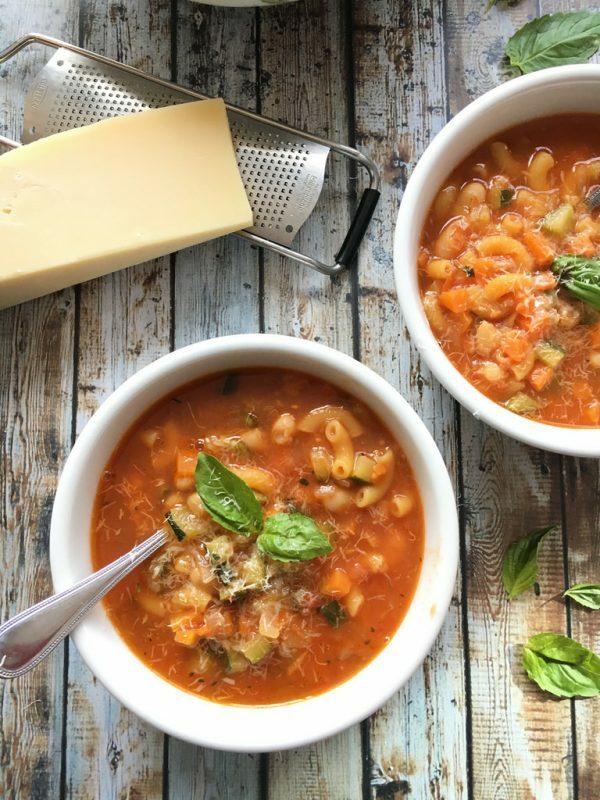 I’m passionate about making healthy family food that’s fun for everyone, so I welcome you to explore my blog for recipes, nutrition insights, and mealtime inspiration. 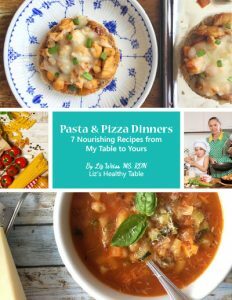 Subscribe to My Newsletter and Receive Pasta & Pizza Dinners for FREE! 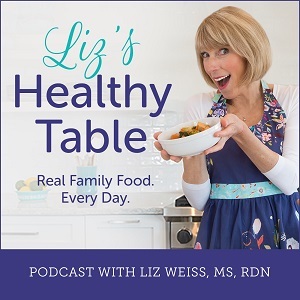 Subscribe to my FREE newsletter for healthy recipes, mealtime tips, and highlights from the latest podcast episodes.